The Cobra Static Control Gun provides a powerful blast of static elimination air for cleaning and neutralizing large surfaces. The static control gun uses ionization combined with air flow amplification to produce an air blast that neutralizes static charges and blows away dust and dirt in rugged industrial environments. The Cobra's ergonomic design makes it easy to hold and use and it's lightweight construction makes it both durable and reduces operator fatigue. The variable trigger allows the operator to easily regulate the gun's air output. 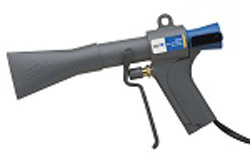 A unique accessory nozzle is included with the gun to produce a fan-shaped air blast for covering large areas like autobody surfaces, plastic sheets, and furniture pieces. The Cobra requires a G165 (120V) or G265 (230V) Power Supply to operate. One power supply can energize one or two Cobra guns. 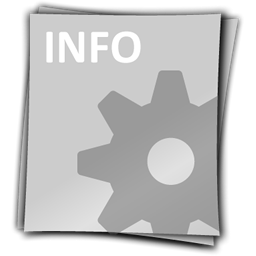 The power supply includes an ON/OFF switch and a neon power indicator light. The Cobra accepts both compressed air or inert gases, including nitrogen.